Moving is overpowering in every way. While the growth prospects and opportunities offered by the beautiful town of Onehunga will give you a reason to smile, the idea of moving to a new area makes you nostalgic and leaves you emotionally wrecked. A successful move further warrants skillful packing and meticulous execution which certainly is a professional’s domain. 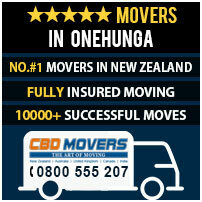 CBD Movers NZ is a renowned and trusted name for movers onehunga. We, in our decade long stint, have created a niche for ourselves in the business. We are well-aware of the area and the nuances of the business. We staff qualified and proficient men and have up-to-date removal gear which helps us register happy and accomplished moves. At CBD Movers NZ, we offer a wide range of removal services. From house removal, office relocation to shifting furniture items; we have the experience and equipment to move all. From moving small and fragile items to heavy and bulky furniture and equipment, we are proficient at handling all. We excel in packing and use superior packing supplies. We are trained to dismantle and reassemble furniture pieces which make us the best furniture removalists in Auckland. From one-off task of loading and unloading to comprehensive packing and moving jobs, we undertake all skillfully. 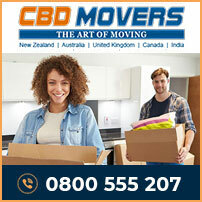 At CBD Movers NZ, we are the best equipped movers in the industry. With well-defined processes and clear work practices, we provide the safest and the fastest moving services. We own a huge fleet of trucks. Our vehicles range from 3 tonne truck load capacity to 8 tonne truck load. Each vehicle is outfitted with climate control technology which confers maximum protection during temperature variations. We are certified movers and are aware of the laws of the land. We have all the licenses and permits required to undertake a move without legal hassles. At CBD Movers NZ, we are the cheapest removalists in Auckland. Without compromising on the quality of our services, we offer services at the lowest hourly rates. We do not charge a depot fee. Our customized removal quotes accommodate issues like outside coverage area pick-up and drop and relocation from different floor levels. Our transit insurance cover is comprehensive and reasonably priced. We are transparent and clear in our operations and have no hidden clauses. Onehunga is a small suburb in Auckland, New Zealand. Located at the Port of Onehunga, the city’s small port on the Manukau Harbour, it offers beautiful and screen views throughout. Supporting all the amenities and comforts for a worthy living, Onehunga is home to nearly 8,000 people. At CBD Movers NZ, we extend our services and support to help people move to and from Onehunga effectively and comfortably. Our services are safe, reliable and fully customized. Get in touch with us for superior services and affordable hourly rates.